Stirling Valley Dental Associates is a privately owned dental practice that offers a comprehensive range of superior-quality and compassionate restorative and preventive dental services, helping people take care of their oral hygiene and maintain a healthy smile for residents of Long Hill, NJ. With an uncompromising commitment to quality, Stirling Valley Dental Associates has established itself as a patient-focused dental practices headed by Dr. Robert Garofalo, a renowned dental practitioner in New Jersey. Our mission is to offer our clients with excellent quality, up-to-date dentistry services and make their experience of visiting a dental practice as seamless and as convenient as possible. Lauded as America’s Best Dentist from 2010 to 2015, Dr. Robert J. Garofalo is the founder of Stirling Valley Dental Associates serving Long Hill NJ residents. 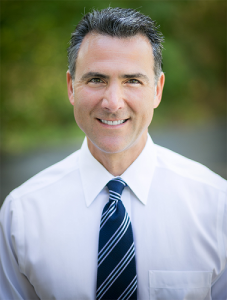 Particularly renowned for his commitment to clinical excellent and ensuring patient comfort, Dr. Garofalo earned his Doctor of Dental Surgery degree from New York University College of Dentistry in 1995. He then continued his residency at North Shore University Hospital in Manhassett, Long Island and learned in detail about various facets of dentistry, such as cosmetic dentistry, emergency dentist, periodontal surgery, root canal treatment, acute dental trauma care, oral surgery, and pediatrics, to name a few. Why Choose Dentist Long Hill NJ for your Dental needs? From our infection control practices to use of the latest dental equipment and excellent customer services, Stirling Valley Dental Associates stands out as the preferred dental practice for residents of Long Hill NJ. Here are a few reasons patients select Stirling Valley Dental Associates to look after their smile. Excellent Knowledge — We have a team of experienced and well-trained dental practitioners who regularly undertake CE sessions to ensure that their knowledge and skills are up-to-date. Superior-Quality Customer Services — Patients who choose to visit Stirling Valley Dental Associates are provided with complete information about various treatment options and flexible payment plans. This helps them select the best available dental treatment based on the honest and expert advice provided by our professionals. Quality Practices and Protocols — At Stirling Valley Dental Associates, we take special care when it comes to the sterilization of dental equipment, as well as following infection control practices and protocols. If you are interested in learning more about our Dentist Long Hill NJ services like Emergency Dentist and Cosmetic Dentistry or want to schedule an appointment at Stirling Valley Dental Associates, please call us at 908-647-6220.